Considering that water is the largest component of beer, it stands to reason that good water ought to help a significant amount in creating good beer. At least that’s what Shannon Carter is banking on with his new Keller brewery, Shannon Brewing Company. It’s all part of Carter’s plan to create what he calls “wholesome beers” made with the highest quality, non-GMO grains and malts he can find. 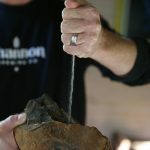 It also means using techniques he gleaned from his Irish heritage. 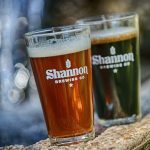 When Shannon Brewing begins pouring in March 2014 (hopefully), the brewery will offer five beers, running the gamut of traditional Irish and British brews. The pale ale and Irish red are indicative of what one might find in a pub in Cork, with relatively low hops; the blond ale is what Carter calls “the entry-level ale.” There is also the milk stout — in the vein of Guinness — and a triple-hopped IPA.